Venezuela Clorox factory seized by government. 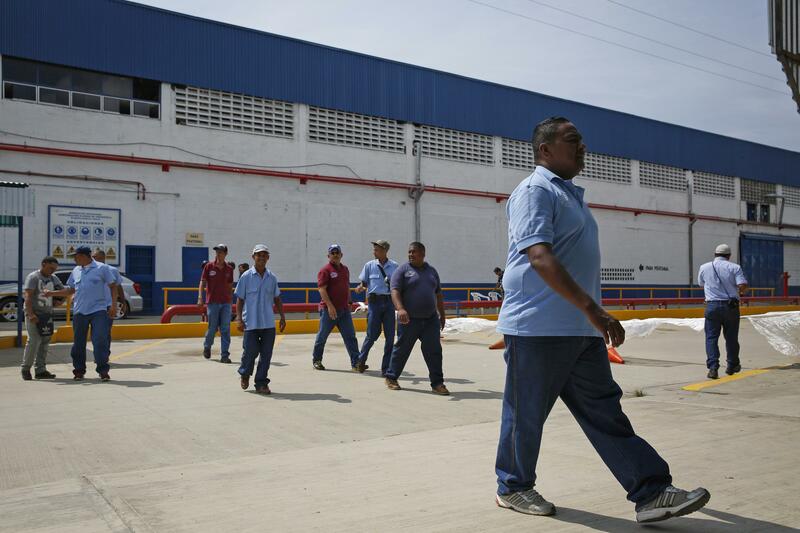 Clorox workers at the company headquarters at Valles del Tuy, Venezuela, on Sept. 26, 2014. The company said operating restrictions imposed by the government, economic uncertainty and supply disruptions would have led to considerable operating losses. Other multinationals, including Colgate-Palmolive and Avon, have made similar complaints about the Venezeulan economy. Maduro, a close ally of late socialist strongman Hugo Chavez, was elected president by a narrow margin in April of last year.